I somehow just found out about Mississauga emcee Es, even though he's been doing the damn thang since 1991! Met him at the Big Mic TO show this past Tuseday, unfortunately missed his set, but he hailed me up on FB and sent me the link for his most recent album, Feud for Thought. Intelligent lyricism? Check. Complex flows? Check. Originality. Yup. Es is an all around dope hip hop emcee, and this album is sick. 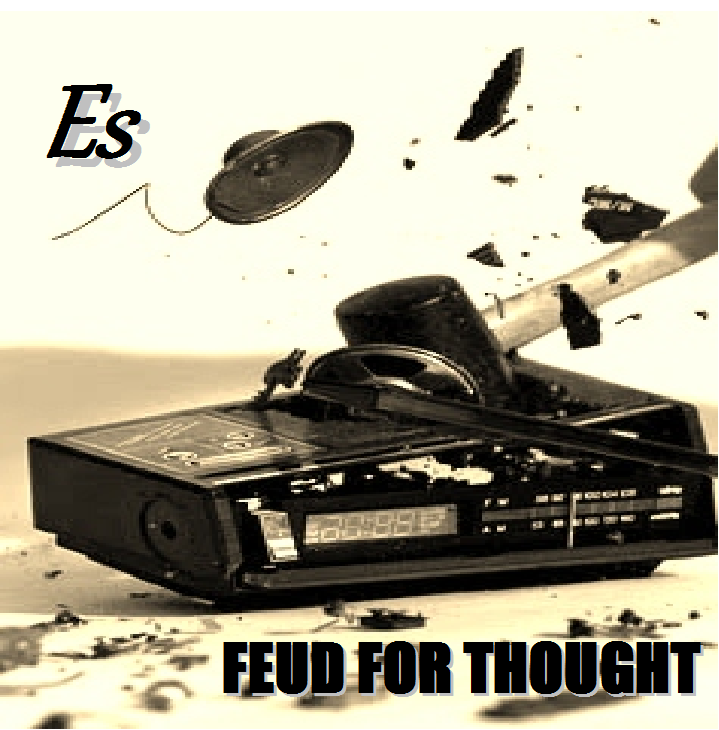 “Feud For Thought” is a collection of my thoughts which illustrate my views on what is hurting this culture, music and community that I love. This beautiful forum of expression is being exploited for capital gain at the expense of the impressionable minds of the youth. Hip hop is much more than the one dimensional imagery depicted in various mainstream media. The entire story isn't being told. The industry powers- that-be would rather force-feed the masses watered-down, dumbed-down rubbish than evoke thought, knowledge of self, introspection, messages of love, peace and respect. They will have you believe that hip hop is supposed to look and sound a certain way. A bunch of cookie-cutter mass produced cloning has negatively impacted the creative element of the music. My war is with the media brainwashing. My feud isn't necessarily with the clones themselves. My feud is with the “puppet masters” controlling minds and insulting the intelligence of the masses. The dumber they make us, the more money we put into their pockets. Let's fight for mental freedom. Let's fight for creativity and originality. Let's “Feud For Thought”.